It was 1994 and I was living and working in Guatemala City. Escaping the bustle of the city, Oliverio Guerrero, my Guatemalan climbing buddy, and I and headed out to explore the remote and tropical southern shores of Lake Izabal. We hoped to discover a pristine beach for a bit of camping and fishing. Spotting just that, we anchored our aluminum flat-bottom boat and waded to the sandy shore with our gear. Bathed in the warm late afternoon sun, the deserted beach was ours to enjoy; at least that’s what we thought. Oliverio, busy with starting a campfire, was letting me get away with lazing around and enjoying the solitude. Suddenly our tranquility was broken by the distinctive sound of a hard working diesel engine. “There’s no road, nor track, nor trail, nor anything that goes through here. I’m positive!” He continued as if to convince himself. Yet the noise was becoming clearer. In an instant, anxiety overwhelmed me. All my senses shot to high alert. In 1994 Guatemala was still in the midst of a three-decade civil war and skirmishes between guerilleros and the army were commonplace in the countryside. Instead of an army patrol or a pick-up full of gorillas, however, we were dumbstruck by another, much more exceptional site: a fully outfitted Camel Trophy Discovery speeding through the sand and brush of Lake Izabal’s wild shores! The Disco did not waste time stopping for directions, instead it raced passed, the crew not even glancing at us. A few seconds later it was gone, silence soon returning. The sighting was so bizarre that if it were not for the tread marks in the sand, we would have blamed the hot tropical sun for the “vision” we just witnessed. 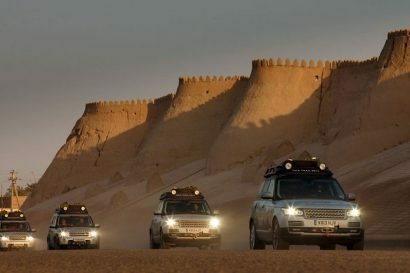 Back in the city I contacted friends at the local Land Rover dealership and the British embassy. I quickly discovered that the Camel Trophy was indeed to pass through five Central American countries for its 1995 edition; the great majority of the route being within Guatemala’s borders. The information was still highly confidential. Because of the fear of ambush by gorillas, the whole event was kept as discreet as possible in Guatemala. The vehicle we had seen was part of a reconnaissance crew in charge of tracing the competition’s route. They had sneaked up on us while scouting the “Cortez road” from Lake Izabal’s shores over the Sierra de la Minas Mountains to the Motagua Valley. In the early 1500s, Spanish conquistador Hernan Cortez and his men had sailed into Lake Izabal from the Gulf of Mexico and had hacked a land route through the jungle and over the Sierra. For centuries thereafter, a Burro trail through the Sierra had been the only access from the Atlantic to the densely populated Guatemalan highlands. Fairly recently a road and a railway were built in the Motagua valley, bypassing the mountain range altogether. As far as local records showed, no one had ever travelled the complete jungle pass by vehicle. The Brits wanted to change that. It would be, along with a north-south traverse of the lowland jungles of Petén, the most challenging bit of the Ruta Maya 1995 Camel Trophy itinerary. The legendary Camel Trophy challenge was passing through my backward! I was determined to get a piece of the action. Another one of my friends, Carlos Garcia, and I decided to ride in my old 1974 pastel blue Series III and meet the convoy near Guatemala City where we knew they would pass. From there we would improvise, our ultimate goal was to join the Discoveries in their attempt to go over the Cortez Road. In June, the Ruta Maya Camel Trophy set off from Belize and quickly crossed into Guatemala at the northeastern tip of the country, deep in the jungles of the Petén. From there, the group headed southwest towards the high altiplano and the metropolis of Guatemala City. Carlos and I met the convoy in San Jose Pinula on the outskirts of the capital. It was evening and the convoy was going to camp there for the night. The participants were socializing with the large crowds of curious locals. 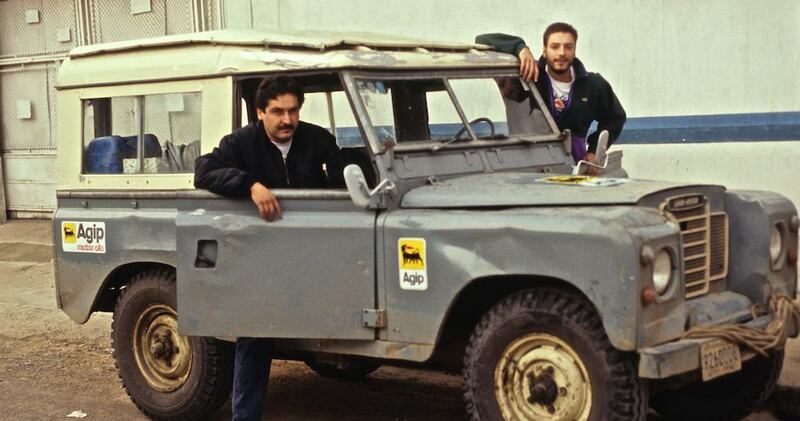 Our old Series III was met with interest by some of the Camel Trophy support team so helped us break the ice. “No mud, no winching, we sped through the Petén jungles at 80km/hr!” exclaimed a Spanish contestant with clear disappointment. The 1995 event seemed to have been a disappointment to everyone so far. There was a lot more to come, however, and the Cortez Road would be the highlight. That night we camped beside the Discoveries. The next day we joined the expedition and experienced similar conditions to what the contestants had described: high-speed travel on endless dirt and gravel roads through the mountainous highlands of Guatemala to the Salvadorian border. The high-paced Discoveries looked more like Monte Carlo rally cars than 4x4s! 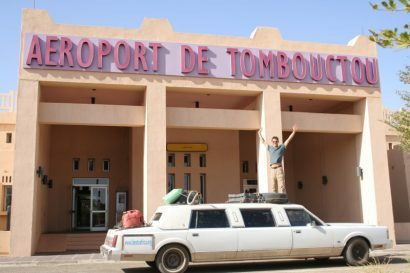 By the end of the day we had reached the dusty international border town and it was time for us to say goodbye, for now. The convoy would push on though El Salvador and then Honduras and then re-enter Guatemala three days later. As for us, we would return to Guatemala City and briskly prepare for a rendezvous with our Camel Trophy friends right before the push for the Cortez Road. 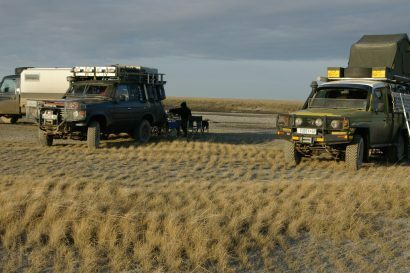 We hoped to tail the group and go as far as my trusty Land Rover would allow.